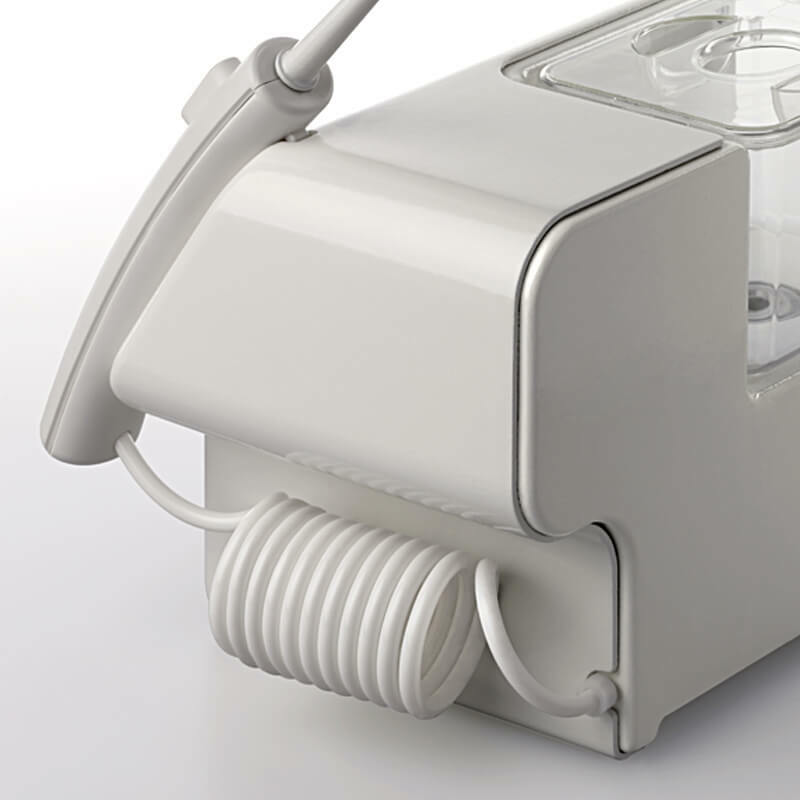 The Aquolab Professional water jet is specifically designed to be used professionally by dental hygienists in their practices, allowing to store custom treatments for each patient. 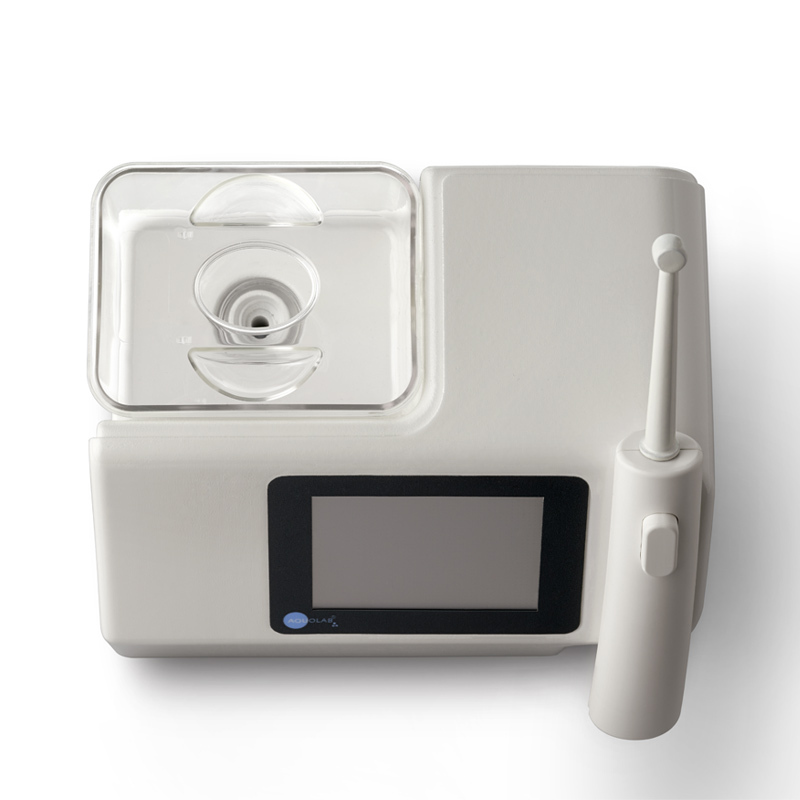 Aquolab Professional is also suitable for careful, demanding users who require a full setting of the device and a more advanced use. 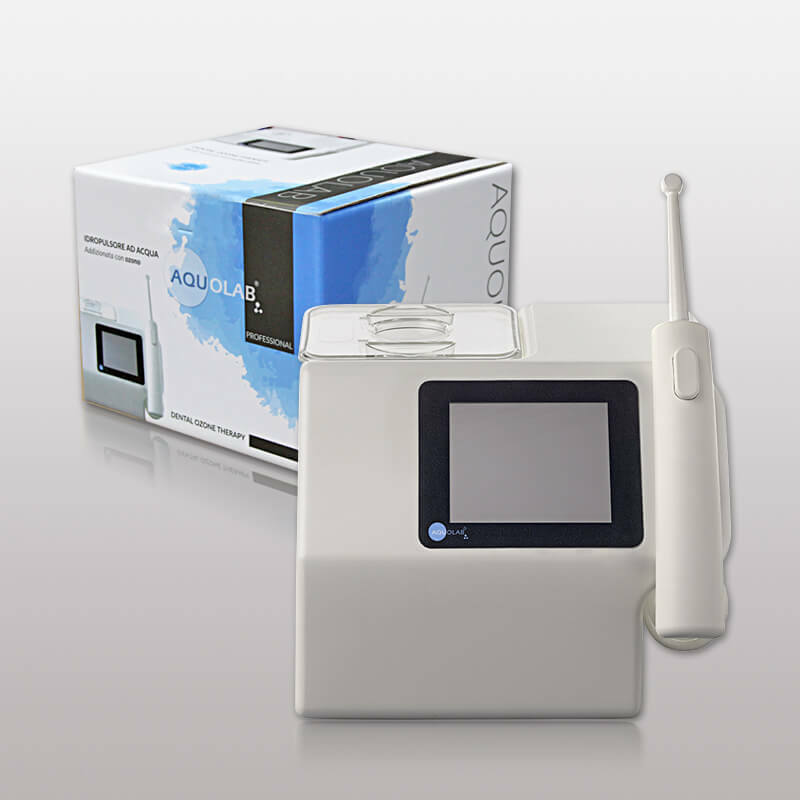 With 2 water pressure levels, 3 ozone pressure levels and nozzles of different sizes, Aquolab Professional provides over 10 different types of treatment for specific conditions and diseases. 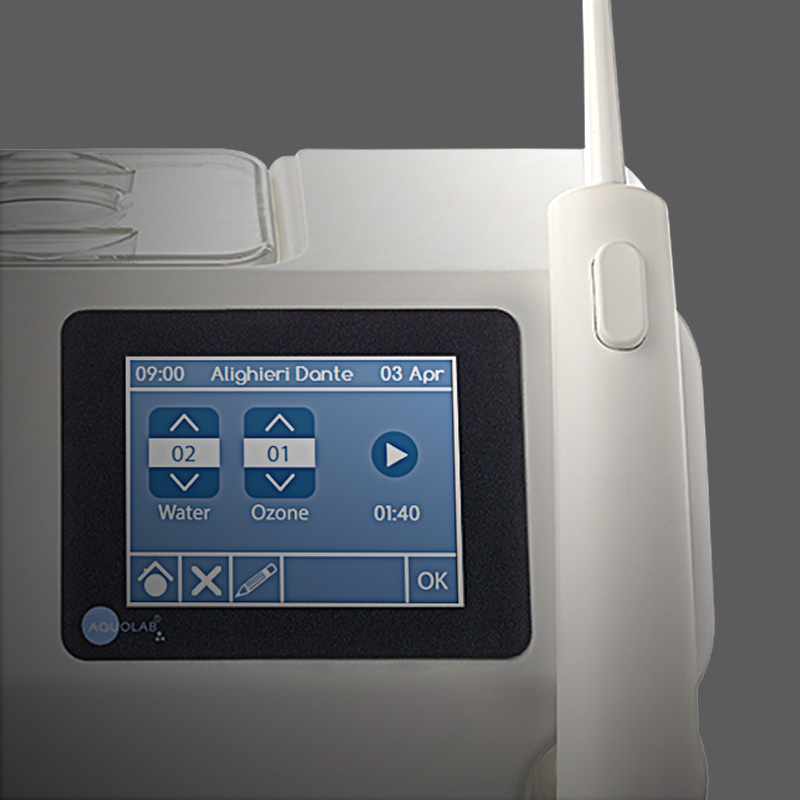 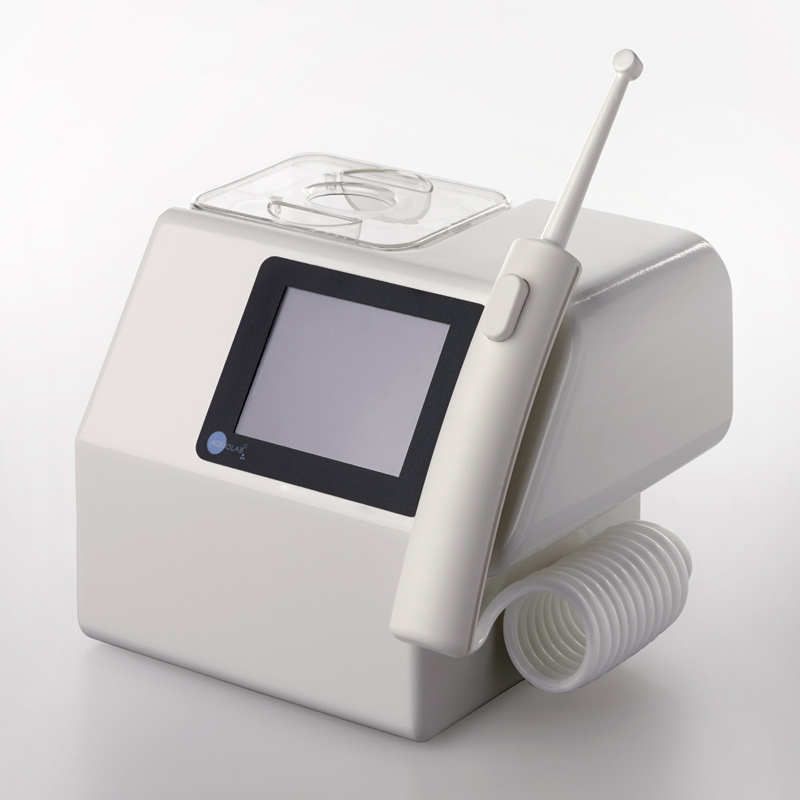 Aquolab Professional is a device for dental hygienist practices and it can be used with plain water without added ozone as simple dental water jet. 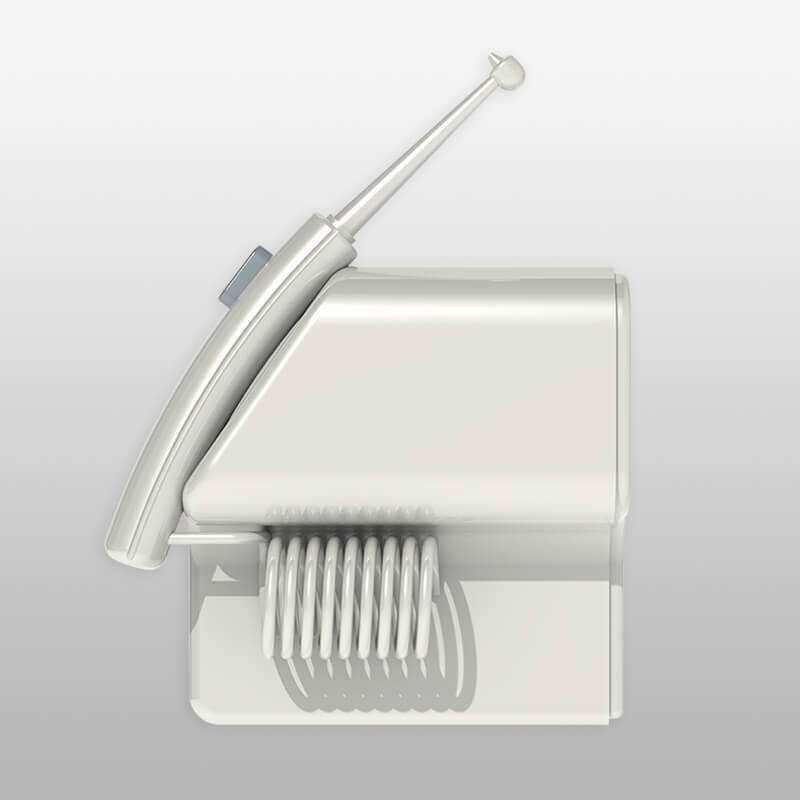 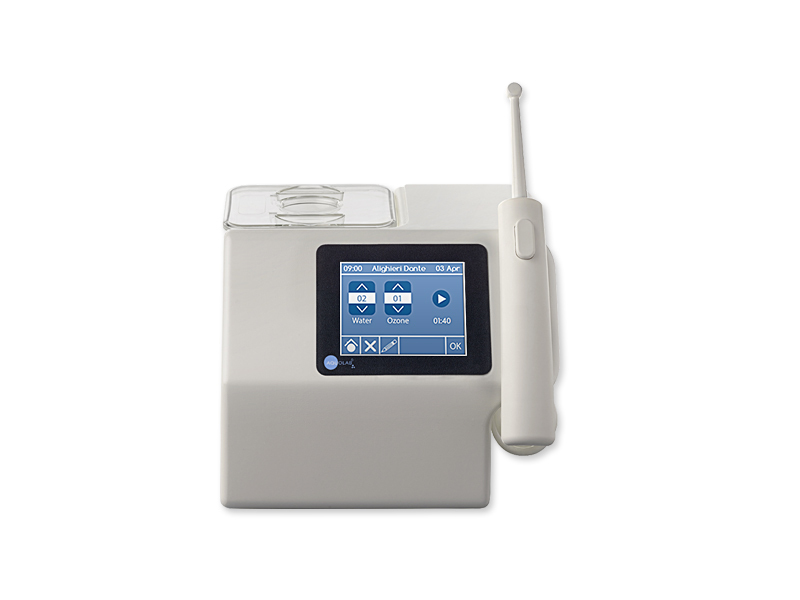 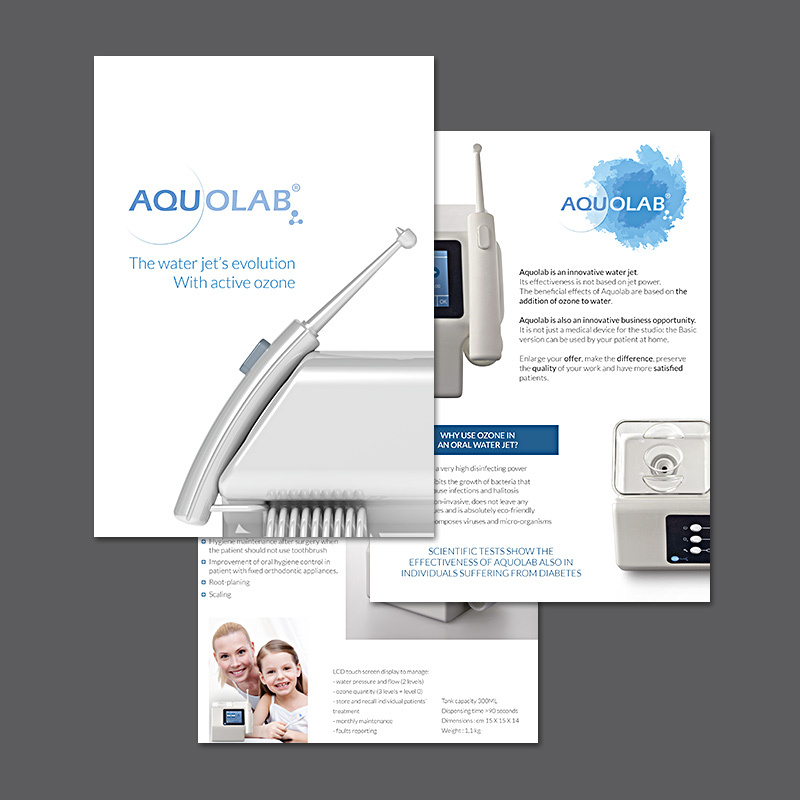 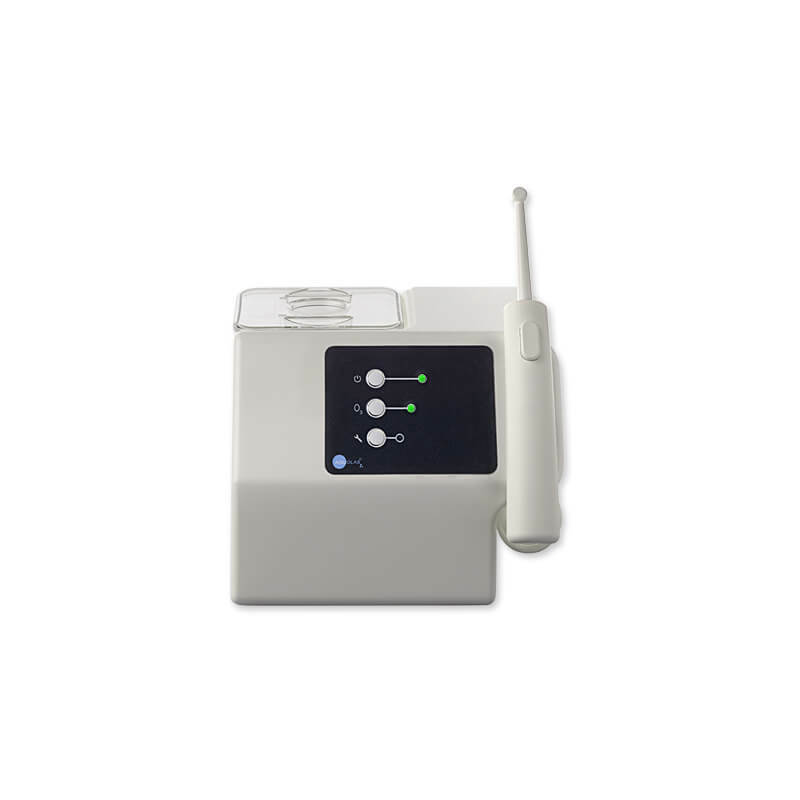 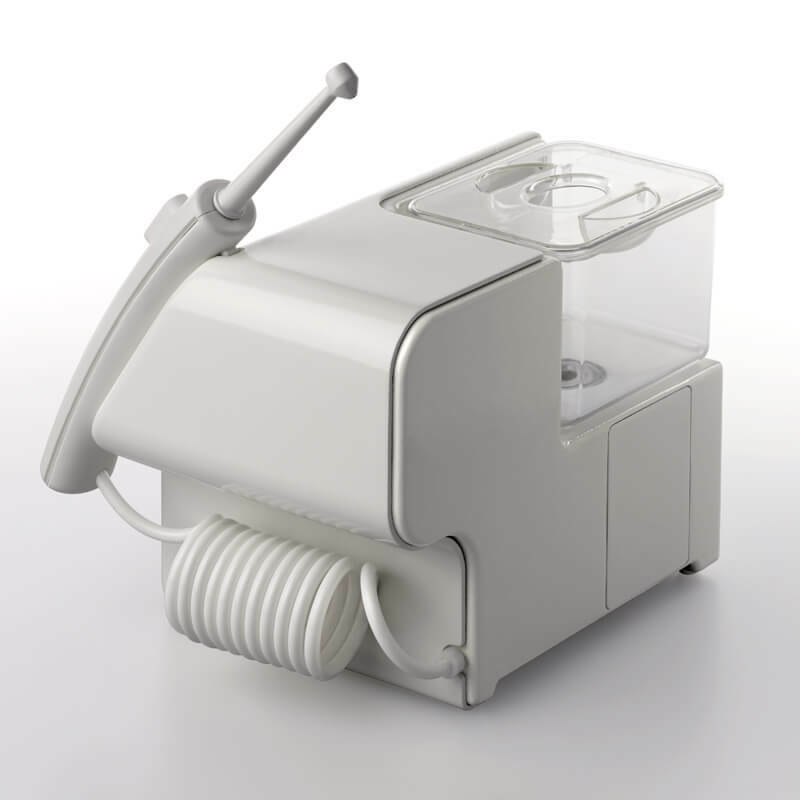 Aquolab Basic: designed for daily oral hygiene at home, with simplified controls.